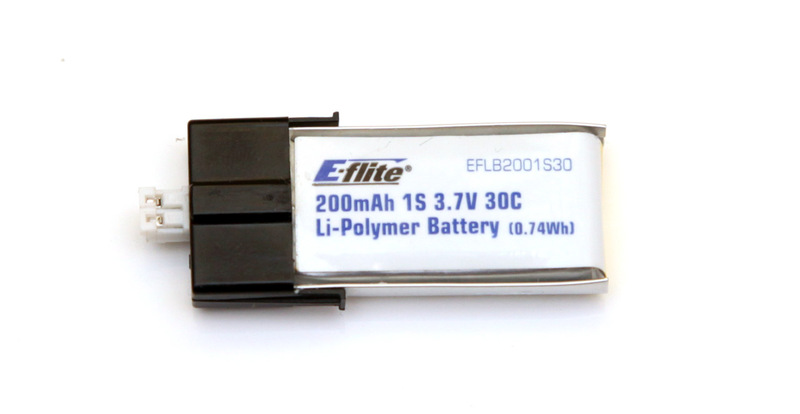 The 1S 3.7V 200 mAh E-flite 30C LiPo batteries are designed for use with small scale RC helicopters such as Blade mCPX and are the original batteries made by E-fliete for that particular model, though they are also compatible with other similar models such as WLtoys v922 or Turnigy FBL100 and others. And while these batteries are quite Ok for stock batteries for these RC helicopters the question is if they are able to meet their specifications and that is exactly what we are going to check now. We have started the tests with a 1C discharge rate (0.2A) for the 1S 3.7V 200 mAh E-flite 30C LiPo battery and we’ve managed to get 214 mAh as a maximum capacity, or a bit over the manufacturer rating for this battery. Increasing the constant current load further to 5C, 10C and even 15C and the battery still manages to provide slightly more capacity than it is rated at. At 20C discharge it is still handing quite well, at 25C is still manages to offer decent capacity though going on the low side and at 30C, the ratting that for constant current discharge that it can handle it fails. So the real rating should be more like 20C-25C constant current and not 30C, nevertheless the mCPx helicopter still works quite well it that battery as it probably does not need 6A load. You might consider going for alternative batteries with slightly higher capacity and a bit lower constant current discharge rating in order to get more flight time. 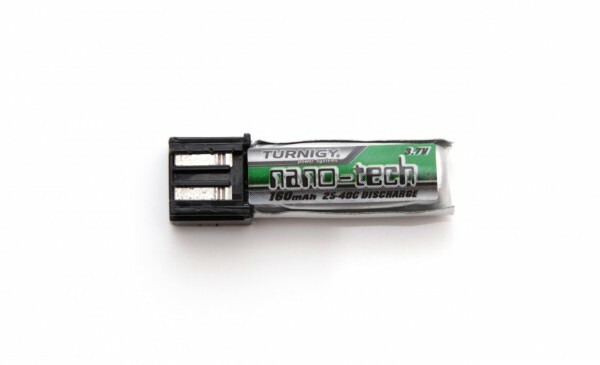 We have started the tests with a 1C discharge rate (0.16A) for the 1S 3.7V 160 mAh Turnigy Nano-tech 25-40C LiPo battery and we’ve managed to get 158 mAh as a maximum capacity, or almost what the battery is rated by the manufacturer. The 2 mAh shorter than the rating of 160 mAh should not be much of a problem if the battery manages to meet its other specifications, especially considering the very good price. Up to about 15C discharge rate or 2.4A constant current load the battery seems to handle very well, then a bit of a hiccup at 20C, but still managing to provide decent capacity. 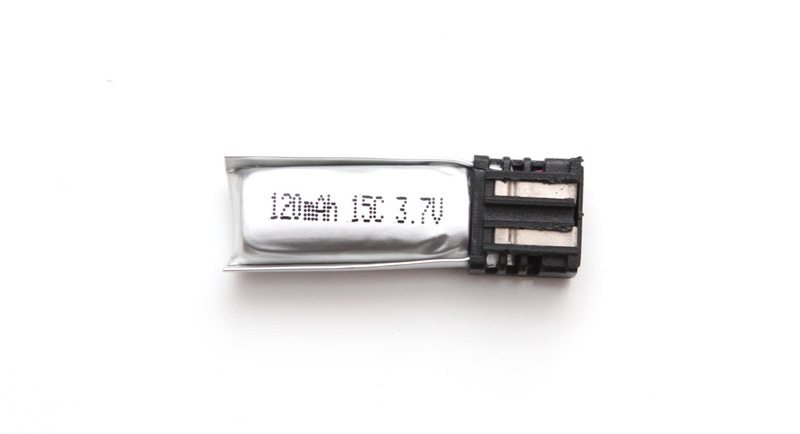 And at 25C discharge rate – 4.0A constant current load the battery is no longer able to provide stable power for more than a moment before it reaches the cutoff voltage. So again we are a bit short from the manufacturer rating of the battery claiming 25C constant discharge as we can clearly see that the real rating should be more like 20C constant and 25C burst discharge instead of 25-40C. The 1S 3.7V 120 mAh Gens Ace 15C LiPo batteries with Nine Eagle type plug are used in various small remote controlled helicopters, especially in many of the Chinese brands and not only in Nine Eagle’s models. Gens Ace’s LiPo batteries have so far shown very good results in our tests, so we have high expectations for this battery as well as it could turn out to be a good upgrade option over the original LiPo batteries that may have inflated discharge ratings sold by the companies that make RC helicopters. As you can see this Gens Ace battery does not have a very high discharge rating at only 15C constant and 30C burst, but unlike many other Chinese LiPo batteries we’ve seen Gens Ace’s batteries to actually meet these specs in actual conditions. We have started the tests with a 1C discharge rate (0.12A) for the 1S 3.7V 120 mAh Gens Ace 15C LiPo battery and we’ve managed to get 130 mAh as a maximum capacity, a value that is a bit over the rated capacity of 120 mAh and that is definitely a good thing. Increasing the constant current discharge load at 5C, 10C and even 15C and the battery still manages to perform great, meeting the manufacturers specifications. In fact we suspect that even at 20C constant current discharge rate this battery will still manage to handle pretty well judging by the results we are getting from it. So great job with this battery as well for Gens Ace, a company that is continuing to build up a very good reputation for its battery products made for remote controlled models – planes, helicopters, cars, boats etc.